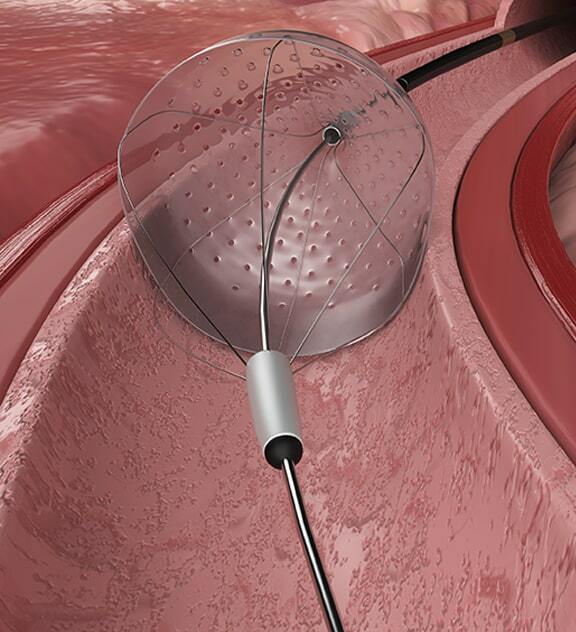 Designing minimally invasive devices for neurovascular intervention can be extremely challenging. The devices must be small and flexible enough to carefully navigate the winding, delicate anatomy of blood vessels that run through the head and neck, while being sophisticated enough to complete their function once they arrive at the target site. 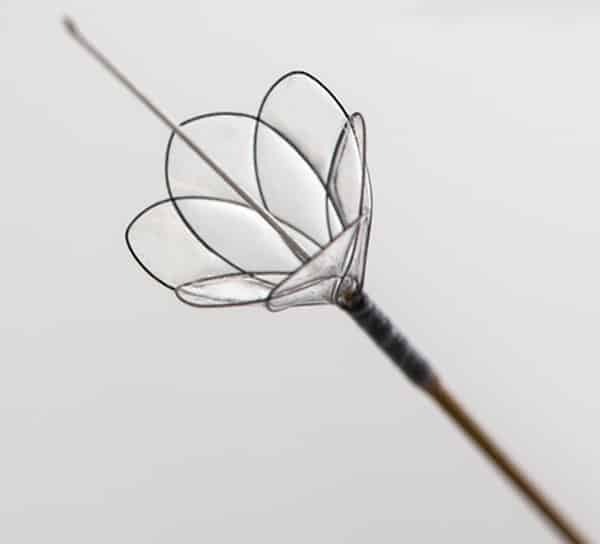 Embolic protection devices are designed to capture and remove debris that may become dislodged during interventional procedures, potentially leading to ischemic strokes. Some designs feature filters made from woven or braided wire, while others form ‘Umbrella’ shaped filters made from laser processed thin polymeric films. 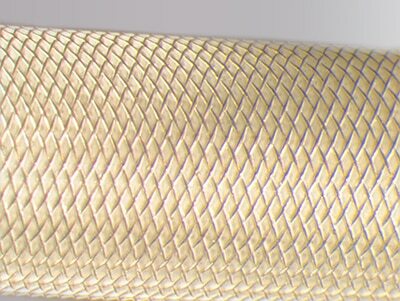 Aran Biomedical has the capability to produce either woven or knitted filter mesh or thin polymeric films for these types of applications. Vascular plugs or occlusion devices are widely used to selectively occlude blood vessels across the vasculature. Removing thrombus following stroke has been recognised as a important means of improving patient outcomes. Removing the clot, typically involves the use of aspiration with or without thrombus ‘stentriever’ devices. Aran Biomedical can offer unique design solutions for these types of devices, through development of nitinol braids or wire-formed devices, and potentially applying a thin elastomeric coating. Covered or uncovered braided solutions by Aran Biomedical, offer a compelling and versatile option for the treatment of aneurysms. 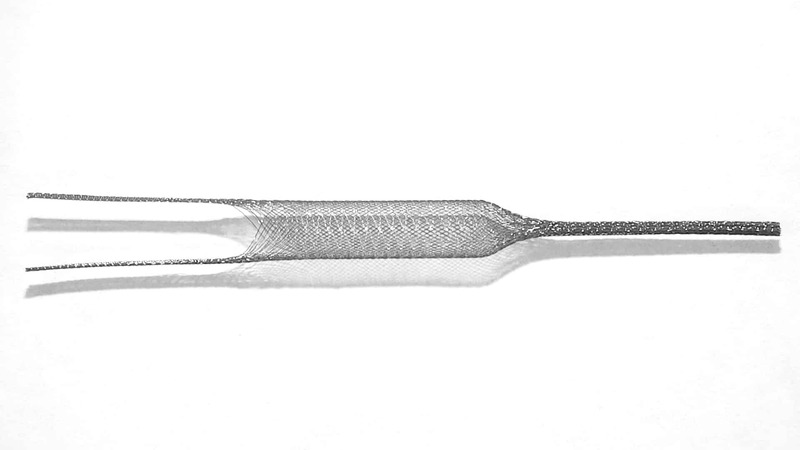 High density, fine wire braids are used as ‘flow diverter’ stents. Alternatively, by coating the braid, an impermeable barrier is achieved without the need for as many wire ends. Ultra-thin elastomeric coatings conform with the braid during crimping and deployment and offer exceptional flexibility for tortuous anatomy.